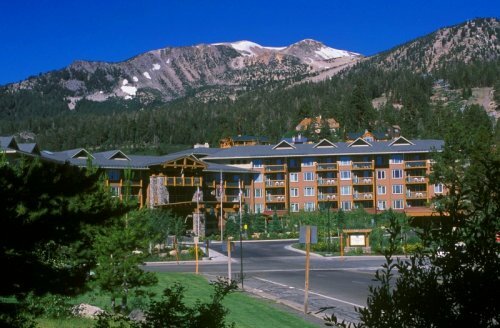 Most vacationers tend to prefer booking a unit at Juniper Springs Lodge when they come to Mammoth because of the convenience of having the private shuttle readily available, concierge desk, skier services, and The Daily Grind located in the lobby, with espresso counter, baked goods, California wines, beer, convenience grocery, mercantile items, logo wear, souvenirs, and coffee shop. From the period of May 1st to Nov. 4th, 2013, the following sales have closed at Juniper Springs Lodge: A total of seven sales with one studio, four one-bedrooms, and two two-bedroom units. The studio sold for $235,000, the one-bedroom units at $200,000, $229,900, $242,000 and $250,000, with the two two-bedroom units closing at $390,000 and $420,000. Prices are clearly beginning to show a slight increase over this period last year. The same appears to be occurring at the Village at Mammoth and other desirable developments. From these gross figures, the rental management takes 50% off the top to manage, book, clean, advertise, rental-related maintenance, etc. Once the Eagle Lodge development is built (will be where chair 15/Eagle Express parking lot is located), this bring more demand for vacationers and property owners who enjoy the ease of convenience of getting to the ski area without having to battle traffic/congestion at Canyon Lodge or make the drive up to Chairs 4, 10, 2 or Main Lodge.